Forget every other animation you've ever watched. Yip, even that Transformers flick where Optimus brought it and Megatron was up-sized. 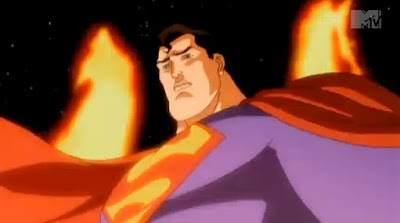 MTV's Splash Page has debuted the first trailer to the 2011 adaptation of Grant Morrison and Frank Quitely's All Star Superman, and from the looks the ultimate Superman series looks set to become the ultimate feature length super-animation! Don't take my word for it - play it forward and see for yourself. For full details on the release click the jump. the animation looks great although i'm not so sure about the premise for the story line based on the preview. also, it's gonna be hard to get used to someone other then Clancy Brown as the voice for Lex Luther. after having heard Michael Ironside as Darkside years too i'd have a hard time getting used to a different voice actor for the ruler of apokolyps. I guess my fear if I have one is like Watchmen - how do you squeeze a whole series of coolness into an hour and a bit? What do you leave out? I LOVED All Star Superman, and the issue where Clark visits Luthor in jail, is probably my favourite ever meeting between the two. But what's key to the overall story? Is the jumper scene? (See IADW Moments In Cool archives) But without it would ASSM be the same without it? Tough call, but from this trailer I'm pretty excited that they seem to be heading in the right direction all ready.